Reaching out to Democratic and Unaffiliated voters for the November 2nd election is accelerating in October. On Friday, 10/1 absentee ballots became available. 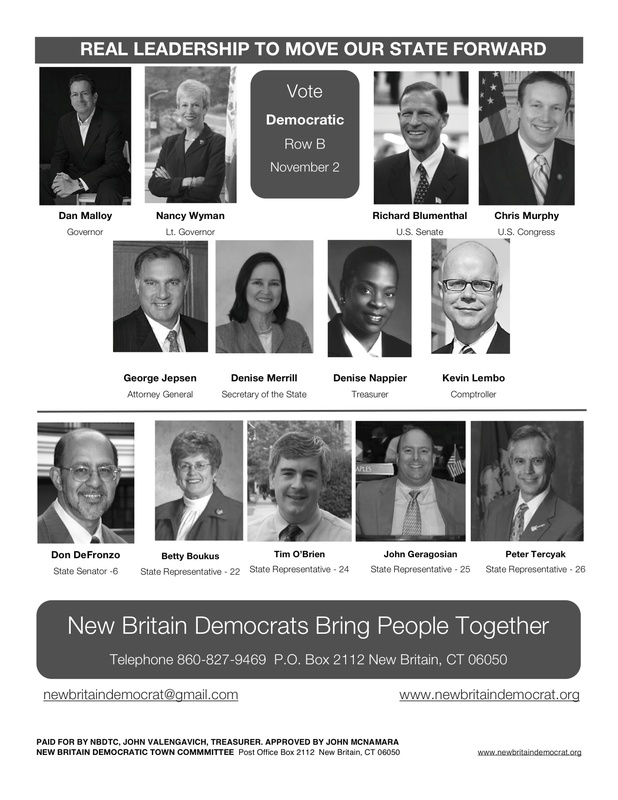 Canvassing and calling voters are moving forward over the next week, including Sunday, October 3rd beginning at 1 p.m. and Monday, October 4th, from 5 p.m. to 9 p.m. To join the effort this weekend and Monday email newbritaindemocrat@gmail.com or call 860-416-0665. Democratic nominee for Lt. Governor Nancy Wyman Saturday noted the lack of comment from Republicans Tom Foley and Mark Boughton when it comes to the minimum wage, especially when “it’s clear they stand with Linda McMahon” on the issue. Earlier in the week McMahon — the snake oil saleswoman from Greenwich — undermined both the minimum wage and the Family Medical Leave Act in a public statement accepting the endorsement of a group that has called for lowering the wage and repealing medical leave laws. Wyman pointed out that Boughton voted against the minimum wage three times when he was a State Representative, which at the time stood at $6.15 per hour. This includes an amendment that was offered on the House floor to lower the proposed increase in minimum wage from $6.75 to $6.40 an hour, which garnered the support of a third of his House Republican colleagues. Boughton voted against the increase in minimum wage to $6.75 an hour in the Planning and Development Committee; against the amendment on the House floor to increase the minimum wage to $6.40, and again on the House floor on the final passage of the bill as amended. Despite Boughton’s opposition, the minimum wage increased to $6.40 effective the following year. ..the Tea Party is a movement that purports to be furious about government spending –only the reality is that the vast majority of its members are former Bush supporters who yawned through two terms of record deficits and spent the past two electoral cycles frothing not about spending but about John Kerry’s medals and Barack Obama’s sixties associations. 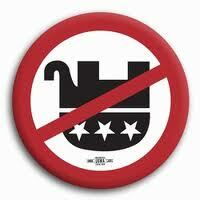 The average Tea Partier is sincerely against government spending — with the exception of the money spent on them. This entry was posted in Minimum and Living Wages, social security, Weekend Update. Bookmark the permalink.